Why do we need one more book on grace? It’s a fair question. 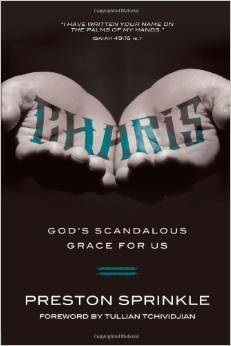 In Charis: God’s Scandalous Grace for Us (David C. Cook, 2014), author Preston Sprinkle gives a convincing though incomplete answer. Rich, poor, successful, homeless, healthy, disabled, black, white, brown, young, old, famous, abused, pervert, or priest – whoever you are and whatever you have done or have not accomplished – if you are human, then you are cherished and prized and honored and enjoyed as the pinnacle of creation by a Creator who breeds charis (p. 38). Too often, we don’t take the time to plumb the height and depth of grace. Too quickly – Sprinkle maintains – we move on to other aspects of salvation without marveling in this, God’s “gift” to all of us, the undeserving. His observation is a fair one. Dwelling upon grace can be an important remedy for those who have grown up in a legalistic setting where “working out our own salvation” (Phil. 2:12) leaves believers with the nagging feeling that they’ll never quite measure up. Sprinkle – though a PhD in Bible from the University of Aberdeen – wears his learning lightly. With language that is picturesque but not ornate, gritty yet not vulgar, he refuses to PhotoShop the blemishes of OT characters like Samson, Rahab, Abraham, and David. His point is that God’s grace reaches us as we really are and not as we pretend to be. We cannot earn grace. 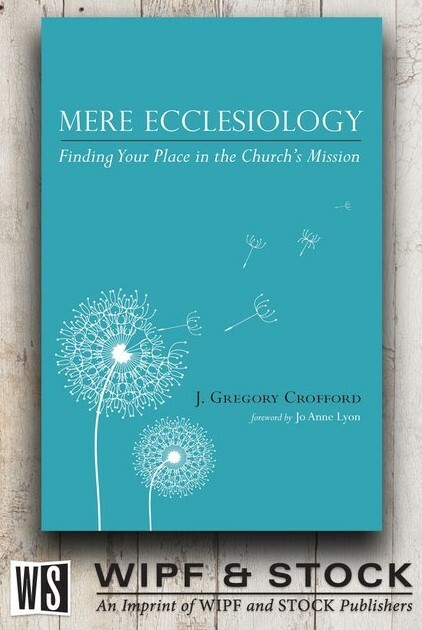 Rather, “God loves you because of who He is and because of what Christ has done” (p. 108). What shall be our response to God’s scandalous grace? The author purposely leaves this to the Epilogue, in order to allow the reader to bask sufficiently in God’s grace. 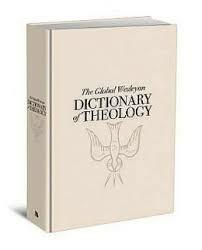 Yet one wonders: Will the reader who only makes it halfway through the book end up with a balanced, biblical picture? For though God comes to us where we are with all His grace, it is never his intention to leave us in our mess. The angel announced that Jesus would “save his people from their sins” (Matt. 1:21), not save his people in their sins. It is the concept of transformation following repentance that rounds out the Good News. Though in the Epilogue Sprinkle addresses the vital role of obedience, repentance (a change of mind regarding sin) is never mentioned, making the book incomplete. 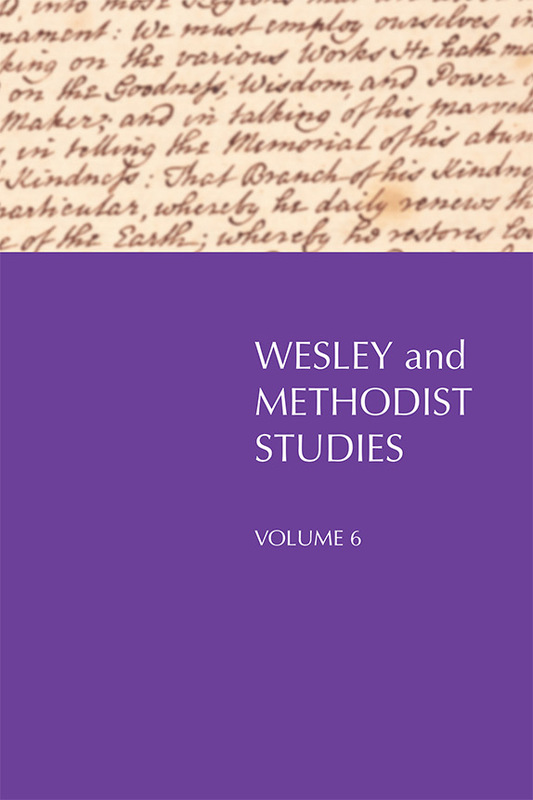 Neglecting to tease out the relationship between grace and repentance is an omission that – from the perspective of Wesleyan theology with its deep concern to avoid antinomianism (lawlessness) – is nothing short of glaring. Yet on balance, Charis is a welcome book. The old Methodist hymn said it well: “It’s not my brother, not my sister, but it’s me, O Lord, standing it the need of prayer.” The gift of God’s grace is not for those who think they are healthy but for those who are convinced that they are sick and powerless to make themselves well. And that, truth be told, includes us all. Next Article Emperor Constantine or King Jesus?